This is actually a backup post that I've been saving for months for a time when I was too busy to post (like today). I really have no idea when I made it, or even if I helped make it at all. I know my sister did the flowers. It's possible I made the cake, but I make so many that I can't keep them all straight. Anyway, you can find my buttercream rose tutorial here. 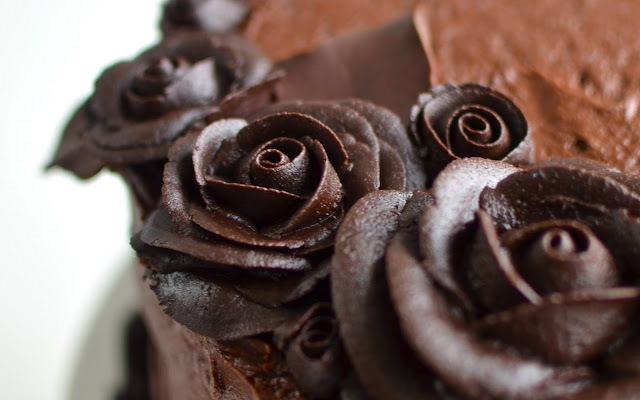 To make the contrast between the roses and the cake, I think we used dark or dutch process cocoa powder for the frosting for the roses and just regular cocoa powder (and less of it) for the cake frosting. We probably just used the recipe on the back of the Hershey cocoa powder container. You can find a tutorial for the chocolate leaves here. They're really easier than you might think. 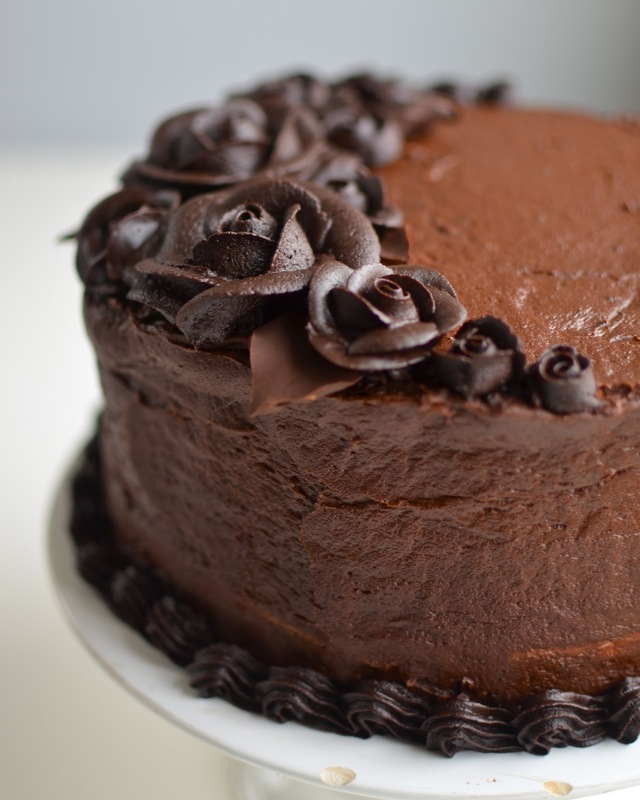 For the cake, you could bake this cupcake recipe in a cake pan, use this awesome flourless chocolate cake, or this secretly healthy chocolate cake. P.S. Don't forget to follow on Facebook, Twitter, and Pinterest. You can follow me on Instagram too now if you're into that. I finally got a new iPod Touch that actually has a camera. Tell me all of your favorite apps that you think I need to get!